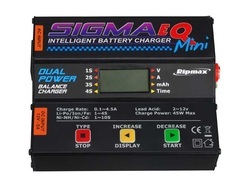 The Sigma EQ Mini is a spectacular AC/DC charger perfect for field or home use. It's small, lightweight, and versatile, charging most popular radio, starter, flight packs, and car packs used in the hobby today. 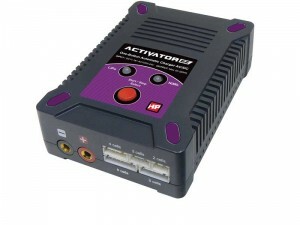 Li-Po's, NiMH and more can all be charged from this easy to use mini-sized, full-featured charger. One button AC/DC charger. Charges Li-Po and Ni-Mah batteries. with iD Auto Battery Identification.